Richard Stockton College has named 2012 Olympian Marina Muncan its new women’s cross country head coach and assistant track & field coach. Muncan, a Villanova University graduate, competed for Serbia in the 1500-meter run at the London Olympics this summer. She brings a world-class resume of success to the Stockton programs, where she joins first-year head men’s cross country and head men’s track & field coach Jayson Resch. In addition to competing at the 2012 Olympics, Muncan represented her native Serbia at the World Championships and European Indoor Championships in 2007 and 2009. She also won the 1500m at the 2009 World University Games. Muncan holds Serbian records in the 1500m and mile events and she competes professionally for Team New Balance. Muncan competed in cross country and track & field for Villanova from 2002-06, earning 11 All-American honors and 11 individual Big East titles. She was the NCAA runner-up in the 1500m in 2006 after leading the Wildcats to victory in the Championship of America distance medley relay at the Penn Relays that year. Muncan also qualified for the Big East All-Academic Team three times while at Villanova. 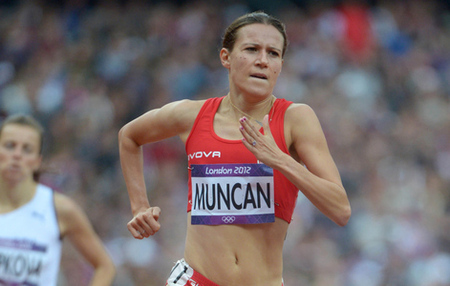 Since 2006, Muncan has coached male and female distance runners for Dinamo Club in her hometown of Pancevo, Serbia. She currently counts the Serbian national champion in the steeplechase among her pupils, and she is a USATF Certified Level 1 coach. Muncan adds to Stockton’s history of Olympians in the athletic department. The College’s first athletic director was Don Bragg who won gold in the pole vault at the 1960 Olympics in Rome. 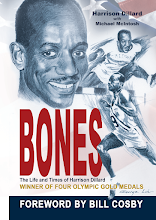 Bragg was supplanted by Larry James who spent 36 years at Stockton after winning a gold medal in the 4x400 relay and a silver medal in the 400m at the 1968 Olympics in Mexico City. Richard Stockton College has hired a 2012 Olympian as its new women's cross country coach. Marina Muncan will be the Ospreys women's cross country head coach and assistant track and field coach. A Villanova University graduate, Muncan competed for Serbia in the 1,500-meter run at the London Olympics. Muncan also represented her native Serbia at the World Championships and European Indoor Championships in 2007 and 2009. 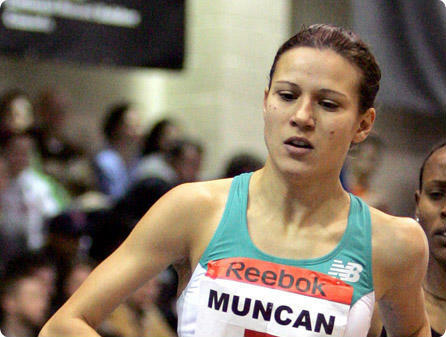 Muncan holds Serbian records in the 1,500 meter and mile events and she competes professionally for Team New Balance. She competed in cross country and track & field for Villanova from 2002-06, earning 11 All-American honors and 11 individual Big East titles. She was the NCAA runner-up in the 1,500 meters in 2006, after leading the Wildcats to victory in the Championship of America distance medley relay at the Penn Relays that year.